Hello lovelies! Today I have something a bit different to share with you from UK stockist Queen of Nails. 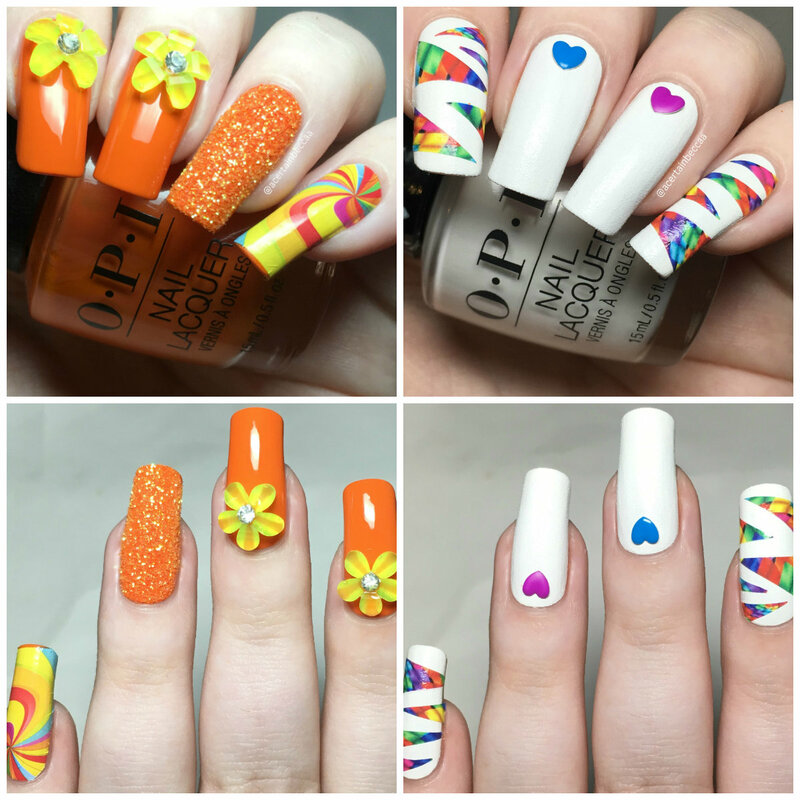 As some of you may know, I am a brand ambassador for Queen of Nails, although up until now I have only shared polishes from them. They have recently branched out into nail art kits. I have the rainbow kit to share with you. Read on to see the full contents, both manis, and for more info! 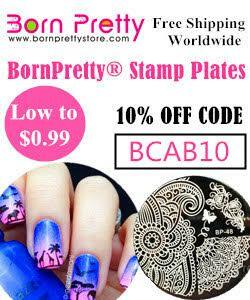 Each kit contains a set of themed nail art items. 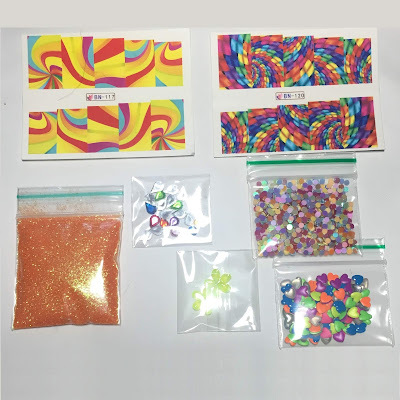 The rainbow themed kit consists of seven different nail art items - two different sets of water decals, 5g of fine orange glitter, 20 multicoloured teardrop rhinestones, a mix of multicoloured heart studs, a mix of multicoloured round glitters, and 2 large 3D flower charms. For my first mani I started off with a base of OPI 'Summer Lovin' Having a Blast!' (swatched here). On my index and middle nails, I placed the large yellow flower charms. 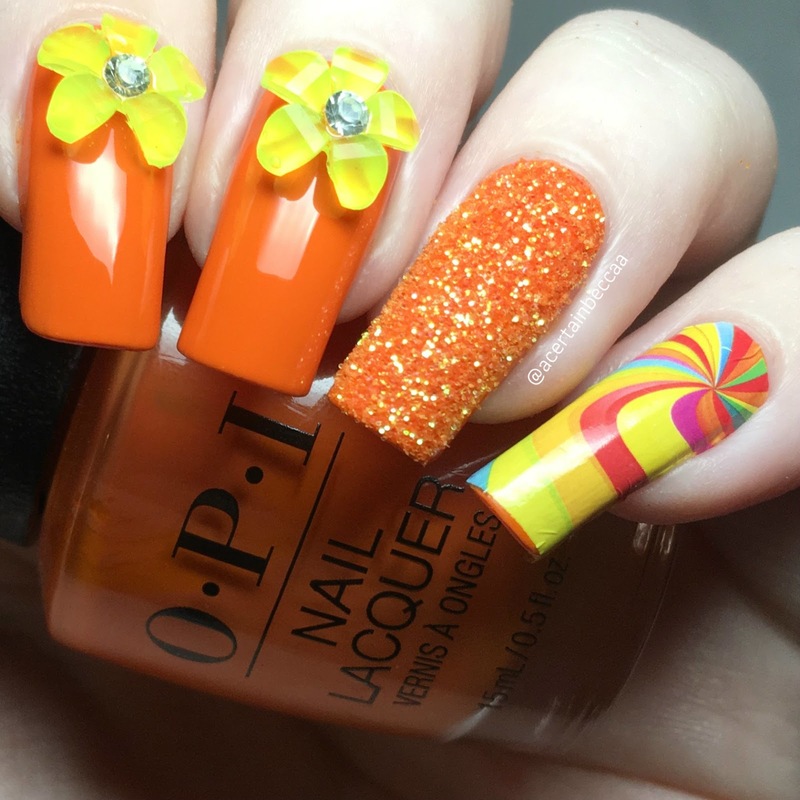 On my ring nail, I added the orange glitter by carefully sprinkling it onto wet polish. I then finished it off by placing one of the brighter water decals onto my pinky. For my second mani, I used OPI leather effect 'Rydell Forever' (swatched here) as my base. I cut some of the darker decals into small trianges, and placed those onto my ring and pinky nails. I added a singular heart stud to each of my middle nails. What do you think? 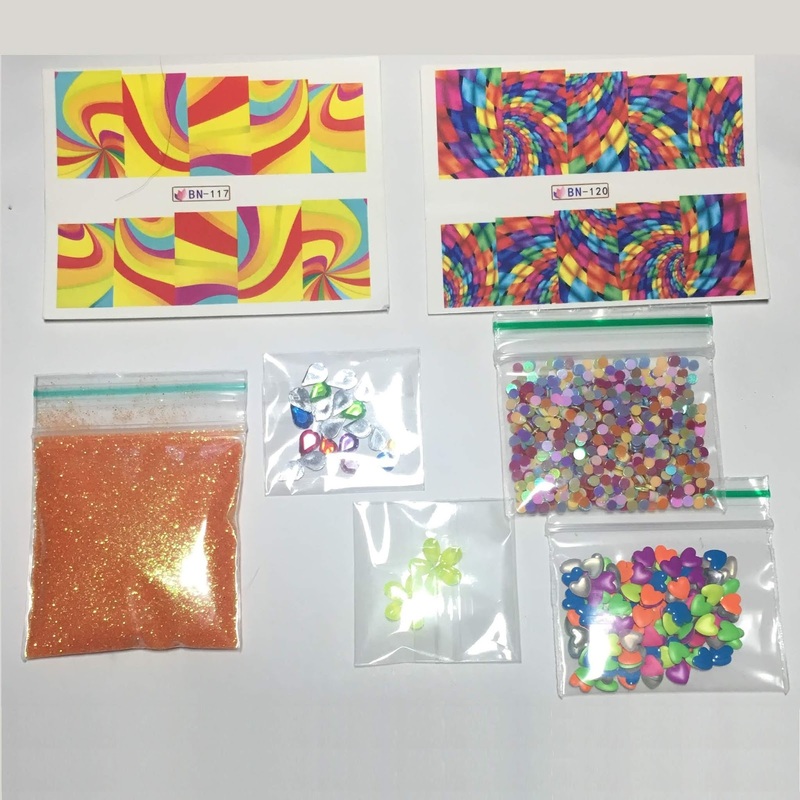 For a small kit, there are so many options of what to do, and what combinations of items to use. I created two completely different manicures and still didn't use every item. Plus with generous amounts of each, you could just keep going! 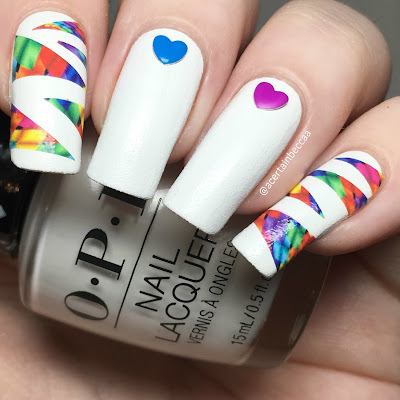 You can find the rainbow nail art kit for £5.99 on the Queen of Nails website here, and plenty of other themed kits here.